Looking for a YAY Images coupon? You’ve come to the right place. Our link will score you a massive 50% OFF your first month at YAY Images, no matter which plan you choose! Thats right, that means you can score a plan of unlimited images for less than $5! Score 50% Off With Our YAY Images Coupon! YAY Images is a unique option in the world of stock photos and vectors. Why? They are kind of like Netflix – everyone loves Netflix, right? YAY Images approach is to let you stream unlimited photos or vector graphics each month. Thats right, unlimited. There are all sorts of plans for extra features too, like good old fashioned downloading, extended licenses and the like. With plans starting from just $9.90 per month, that’s a whole lot of images for very little cash. Of course you can change your plans up and down as you like, and cancel anytime. The YAY Images website is very cool too, with advanced search options and an in-browser editor for the images you choose. Plus they have a WordPress plugin to make running your website even easier! So what are you waiting for? 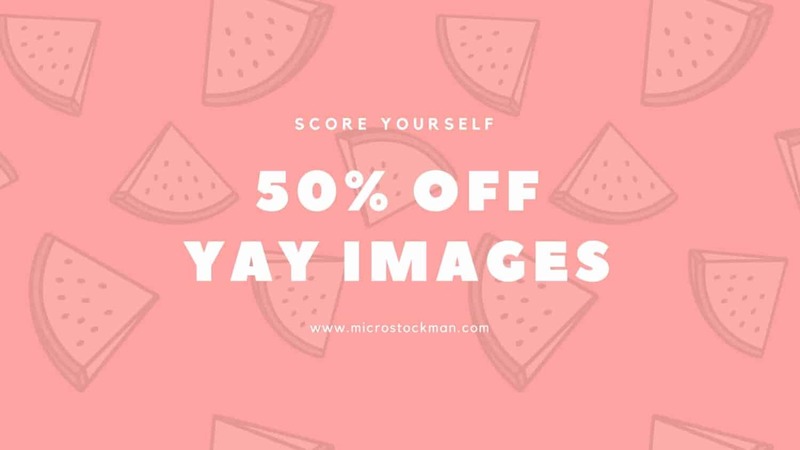 Simply use the YAY Images coupon link below to score yourself that massive 50% off your first month, thanks to YAY and Microstock Man! Why not tell others about this great coupon deal? Share it with your fellow artists and designers and let them score this great deal too! Be sure to let us know how you find YAY Images!